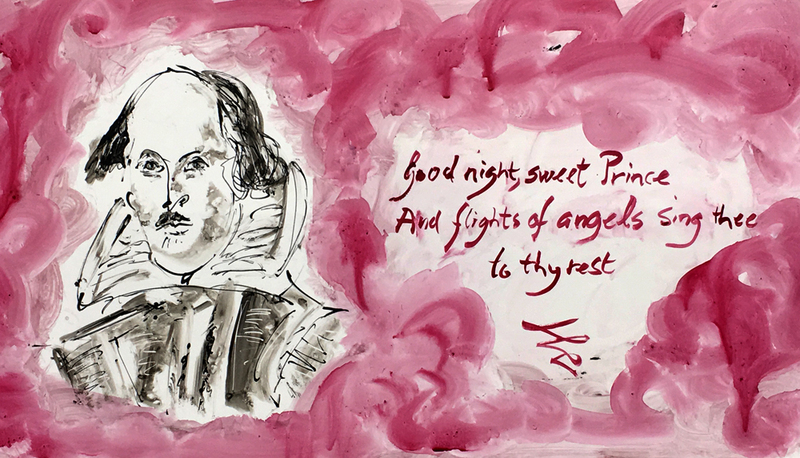 Today, on the 400th anniversary of the death of William Shakespeare, these words spoken by Horatio at the end of the final scene of Hamlet seem so poignant and could easily have been written for another sweet Prince whom the angels are now singing sweetly to his rest. Such a very poignant tie-in, Andrew. Very well done.